Thirsty Pilgrim: Time is Short. There is Thirsty Work to Be Done. Just today received my copy of 1001 Beers You Must Try Before You Die. That's the UK title. The US title is 1001 Beers You Must Taste Before You Die. Maybe someone at the publisher decided that Americans don't like to try things, and the British prefer not to taste things. My slightly biased review: It's a much better read than any book of 1001 Anythings has a right to be. It's organized only by color — amber, blond, white and dark. Plus a specialty section for the odd ones. Then alphabetically. The result is that reading from page to page takes you rapidly from country to country, brewery to brewery, style to style. It's comparable to putting 1001 great tunes, most of which you haven't heard yet, on shuffle. You don't know what's next, but it's hard to go wrong. The book is large. It makes a statement. Put it on your most visible bookshelf, so that visitors will see its wide spine and understand both your priorities and seriousness of purpose. There is never much time left, and if they're not with you they're against you. 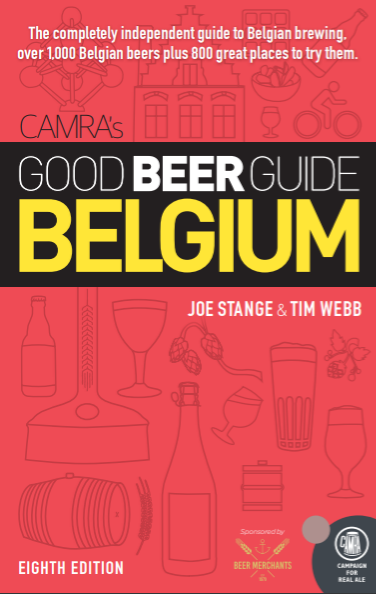 Any free copies for beer bloggers? Not from me. Try contacting the publisher at quintessence (at) quarto (dot) com. No harm in trying... but to be fair, the book is surprisingly affordable for its size. Cooking, if only you had been blogging a year ago when I was assembling the squad, you would have been on the plane. thanks for kind words Joe. maybe can you give us a hint of the beers you selected for the book? I didn't select them all, exactly. A few Portuguese lagers, a handful of Belgian beers that needed write-ups, and a few that I persuaded Adrian should be included. If you pick up the book, you can tell who wrote which entry by the initials at the bottom.